Tickets On Sale for Saturday Night at The Las Vegas National! 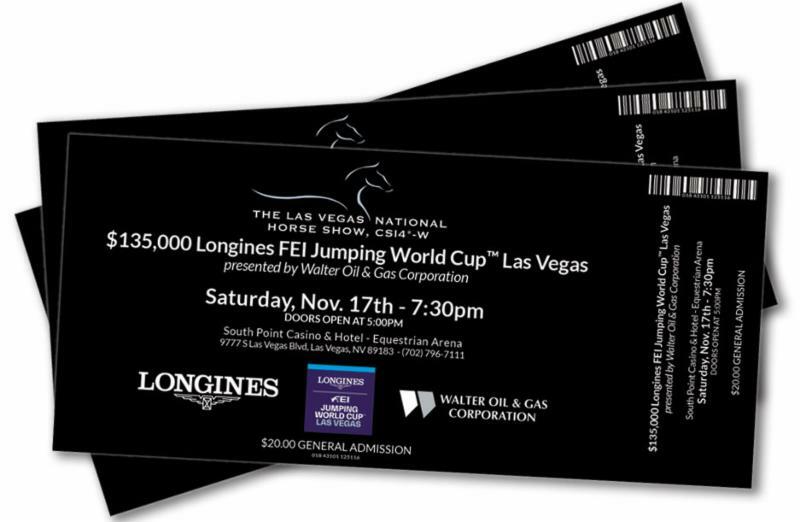 Las Vegas, NV – The South Point Equestrian Center & Arena will once again be the setting for top international show jumpers competing at The Las Vegas National, CSI 4* -W. Don’t miss Saturday night, November 17th, when the doors open at 5:00pm, and every ticket holder will have a chance to experience the entertainment, including a photo booth, caricature artist, face painting, shopping, and giveaways. 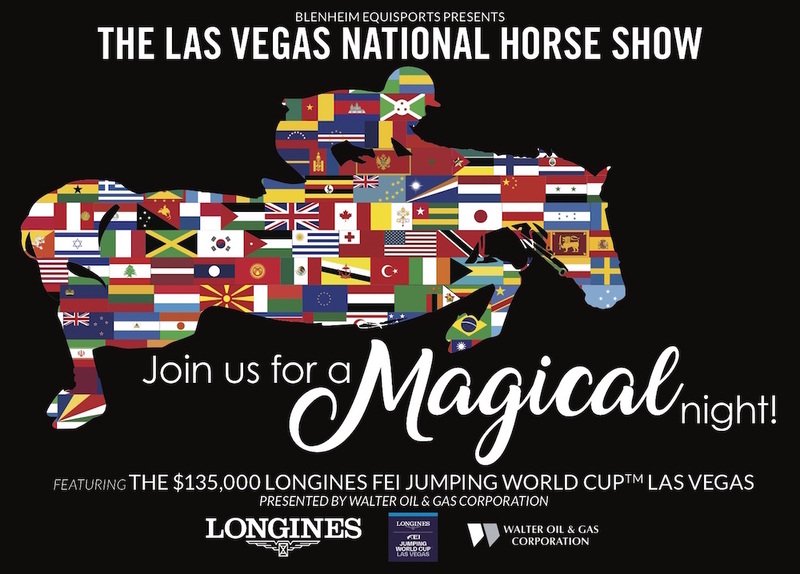 And don’t miss the highlight event of the evening, the $135,000 Longines FEI Jumping World Cup™ Las Vegas, presented by Walter Oil & Gas. Plus after the main event, complete a world-class evening with an autograph signing session! 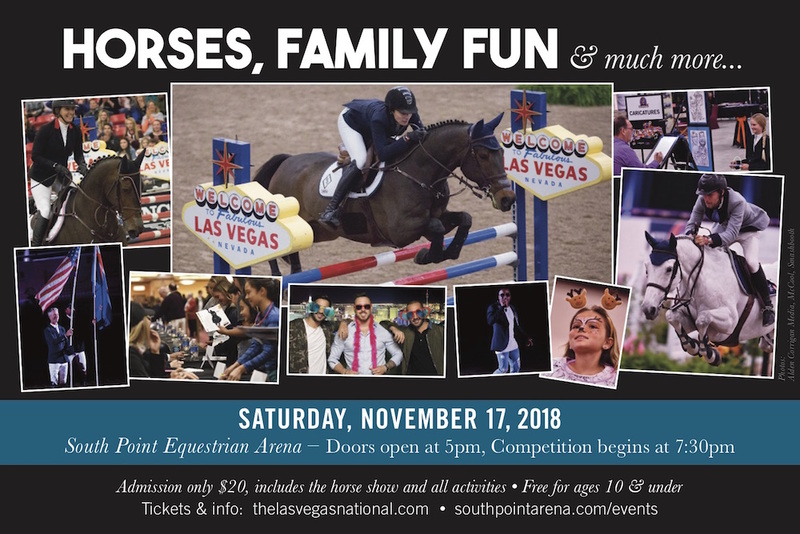 So save the date: Saturday, November 17th, when you come to Las Vegas for a magical adventure filled with horses, family fun, and much more. Purchase your tickets now! November is just around the corner, and now is the time for show jumping aficionados everywhere to get ready to spend a weekend in the city that never sleeps. Start with booking a room at a discounted rate at The South Point Hotel, Casino, & Spa, or call (866) 791-7626 with the Group Code LAS1112, by October 20th. Then plan your options for a fabulous weekend, which can include a spa day, bowling, dining, gambling, and show jumping, all under one roof! With the unparalleled splendor of Las Vegas awaiting just outside your door, it’s truly a combination not found anywhere else in the world. Buy your General Admission tickets for Saturday night here. For those looking to attend in VIP style, The VIP Saloon and Ringside Rider’s Lounge offer multiple ways to enjoy VIP amenities at the show. For details on how to reserve your own VIP experience at The Las Vegas National, please click here. Come to Las Vegas and experience the one-of-a-kind show that is The Las Vegas National, a Longines FEI North American League event! We look forward to seeing you in November.